I was having a little pre-Ikea trip browse online when I spotted this storage unit with a clothes tree. It has two drawers, a laundry bin and a clothes tree which I think is genius. 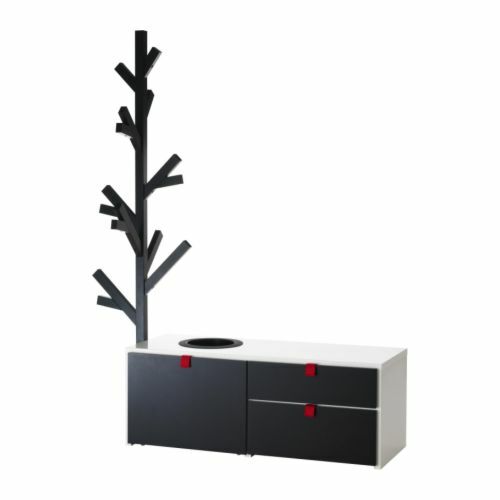 Not only does the tree look fab but it would come in really handy for a place to put worn-but-not-dirty clothes. I can just see this sat in front of some Lizzie Allen Red Buses and Black Cabs wallpaper in a boy’s room. Ikea have recommended it for children aged 8+ but I just couldn’t resist it!